Actian Zen PSQL Workgroup v13 Edition provides high performance and data reliability for single- and multi-engine configurations with up to five users. From 1 to 5 concurrent users. Individual Workgroup keys will not authorize more than one system at a time. 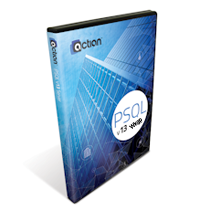 If you need single or multiple users accessing one database, purchase a 1, 3 or 5-user Workgroup Edition for installation on a single system and install a PSQL v12 Client on each of the other systems. Workgroup will work with both Windows and Linux Clients. Clients are available at no charge and do not require authorization. To increase the number of concurrent users, purchase a 1 or 2-user UCI and install it on the same system as the Workgroup engine. Download Clients at no cost here. When data resides on more than one system in a network it is useful to install multiple Workgroup engines. Multi-engine installations can be made up of single-user Workgroups, multi-user Workgroups or a combination of the two. Example: If you have data on 3 systems and don't need more than one user per system accessing data, purchase 3 single-user Workgroups. The cost for this configuration is 3 x $100 = $300. Example: If you have data on 3 systems and require three concurrent users per system (one local and two remote), purchase 3 three-user Workgroups. The cost for this configuration is 3 x $300 = $900. To increase the number of users in a multi-Workgroup congfiguration, purchase a UCI for each system in the network where you want to add a user. It is not required that user counts be the same on each system in the network.